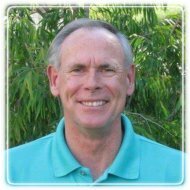 Irvine, California Therapist: Tim Gergen - Therapist 92612. Do you find yourself not enjoying a life that use to make you happy? Are you uncomfortable around others? Are you struggling in an important relationship and questioning what to do or what direction to go? Are you reacting to others and left feeling sad, anxious, confused or angry? At certain times in our lives we realize turning to a experienced and professional expert is the first step in opening to a more meaningful and enriched life. We all have the inherent potential to grow and develop in the very areas in our lives that are causing the most pain and difficulties. I am here to help you learn new approaches and develop the personal insight necessary to a continuing healthy life. Please visit my website at www.orange-county-counseling-psychologist.com for more information about my services and how I can be of help to you.